Nurse Manager of Policy Practice and Initiatives at Far West LHD, Jacqueline Ballard (pictured), has graduated the Clinical Excellence Commission’s (CEC) Executive Clinical Leadership Program on Thursday, 26 July 2018. Jacqueline’s project for the program was titled Connecting Kids through Primary Healthcare. Each of the graduates presented a clinical improvement project as part of their final work. The aim of Jacqueline’s project was to have within 12 months 100% of primary and secondary schools in Broken Hill will have a dedicated Primary Health Care Registered Nurse addressing student health needs. This project was undertaken looking at the implementation of a new joint initiative – the Primary Health Registered Nurses Schools Based Service – between Far West LHD, Public Schools Far West and the University Department of Rural Health. The project looked at how Far West LHD can address the increasing demands on child and adolescent services for young people with complex health, social and educational needs. “The project has strengthened ties between Far West LHD and Public Schools Far West and the University Department of Rural Health, with services working together to support families and young people in the community of Broken Hill,” said Jacqueline. Currently the Primary Health Registered Nurses are working in three local schools, Alma Public School, North Public School, Willyama High School, with Broken Hill Public School and Railway Town commencing in early August 2018. “This program has highlighted how services can work together to address the needs of young people and families in our community, and working together to connect services across both health and education,” she said. NSW Health Secretary, Elizabeth Koff oversaw the graduation of participants, who are among the clinical leaders who will guide the health system over the next decade. Participants come to the foundation and executive levels of the program with the support of their local executive and a desire to achieve improvements in how they, and their colleagues, care for patients. So far, more than 3,000 NSW health staff have enrolled in the programs. As part of the course, each graduate identifies an area where they feel improvements could be achieved and presents a clinical improvement project as part of their final work. 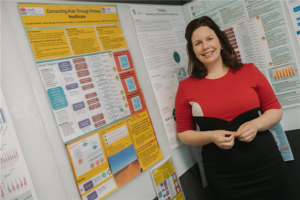 The Clinical Leadership Programs are part of the Clinical Excellence Commission’s Quality Improvement Academy which has been established to design and deliver a range of education programs for staff working in patient safety, improvement and clinical governance.